Despite the downturn in the economy, early polling indicates that a majority of consumers — 52 percent — plan to spend the same or more for gifts this holiday season, according to a recent ICM Research report. 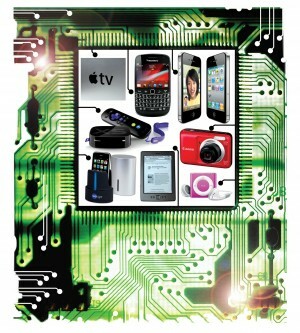 Last year, nearly a third of U.S. consumers’ holiday gift-spending budget went to consumer electronics. I don’t know who the folks are that participated in the ICM poll, but most of my friends and associates have a more conservative budget this holiday season. Keeping in mind that many of us will need to spend less, I wanted to share my picks for hot tech gifts that won’t break the bank or your budget. Happy Holidays!